In the war for talent, having an innovative Irish company on your side is a big advantage - a fact some of the world's top brands know first hand. Global names such as Nestle, Microsoft, Pepsi, and Qatar Airways have all turned to Irish talent management solutions for help in attracting, managing and developing their biggest asset - their people. The war for talent is about more than recruitment, and Ireland's talent management sector is recognised as being unparalleled in its breadth. It encompasses solutions for talent acquisition, workforce management, professional learning, performance management and workplace recognition. 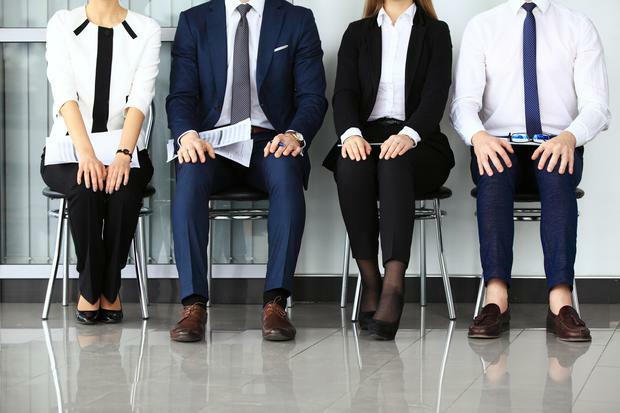 As Johnny Campbell, CEO of Social Talent, said at the recent World Employment Conference in Dublin, it's not really so much a war for talent as a war for skills. Technology has an increasing role to play in building those skills and the world's most progressive employers are turning to Irish solutions for several reasons. As the world of work undergoes seismic shifts in terms of skills shortages, diversity, millennial talent, and the gig economy, innovative Irish solution providers are partnering with progressive recruiters around the world to discover, retain, engage, and reward exceptional talent. Ireland has established itself as a strategic hub for leading multinationals, working across sectors as diverse as technology, biopharma, and financial services. Staffing Industry Analysts, the industry's highly regarded research group, ranked Ireland as the world's most attractive staffing market in 2017. We have earned our reputation by providing solutions to some of the world's best employers and, in the process, established Ireland as an internationally recognised centre of excellence for talent management. While it is true that working with world-leading multinational companies based in Ireland has helped the talent sector to hone its skills to the highest level, it would be wrong to think Irish companies have grown their exports and reputation solely as a result of those links. Rather, Irish companies have gone out and won new international customers, often in highly competitive, supplier-rich markets, in which those organisations are not short of choices. International organisations increasingly choose from a growing number of world-class, homegrown Irish success stories, such as TTM Healthcare, which is quickly becoming a healthcare recruitment leader, providing staffing solutions around the world. One in five nurses recruited to the NHS from overseas now arrives via TTM. Leading organisations are choosing tech company Social Talent, enabling it to become the world's largest provider of on-demand training and development for the recruitment industry, a niche it pioneered. They are choosing Globoforce, helping it to become a world leader in employee recognition. Its innovative solutions successfully drive employee engagement and retention in multinational companies in more than 135 countries. They are choosing software innovator Sonru, developer of the world's first asynchronous video interviewing solution for candidate selection. Sonru's product doesn't just boost efficiencies for client companies, it enables them to tap into previously inaccessible talent pools, wherever they are in the world. Good companies are going to the ends of the earth to find good people - and increasingly it is Irish talent management solutions that are helping them to get there.